Ghana’s Banking sector has experienced a number of significant changes in the past year. Of all these changes, the Bank of Ghana’s revocation of the banking licences of seven indigenous banks will be on the minds of many for some time to come. In the midst of the current bank collapses, you would think this is the first time that banks have had their banking licences revoked. But no. Almost two decades ago, the country was struggling with what to do with two weak banks. It’s the year 2000. A new millennium had just been ushered in. There is a lot of excitement and jubilation in the air. But the joy that greeted the entry into the millennium would be shortlived. The country is on the verge of losing two of its commercial banks – the Bank for Housing and Construction (BHC) and the Ghana Cooperative Bank (GCOB). The BHC was established in 1973 with its shareholders being the Government of Ghana and the Bank of Ghana. The BHC was a development bank set up by the government through an Act of Parliament. Its main functions were to provide mortgage financing, facilitate participation of domestic or foreign private capital in the construction sector and enter into joint venture projects in the construction sector. The GCOB was established, earlier in time, in 1948 and its main shareholders were the Ghana Cooperative Societies and the Government of Ghana. 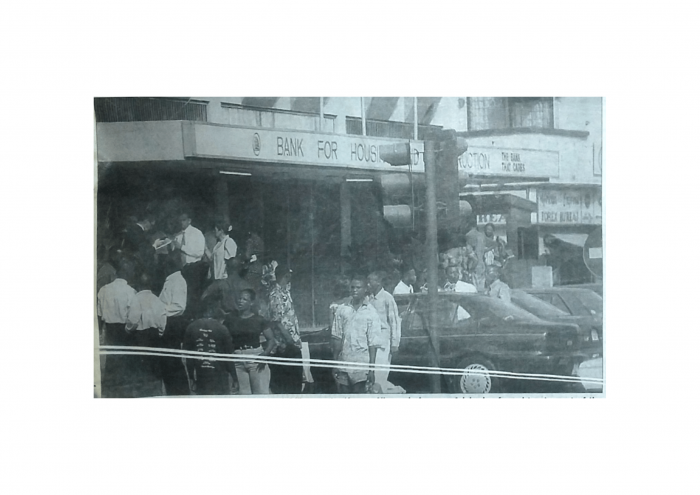 This bank had its roots in the Gold Coast Co-operative Bank, which was established by the Association of Cocoa Co-operative Societies in 1948. Its main business line was deposit mobilisation and the financing of cocoa purchases by the co-operatives. GCOB had a chequered history of being closed down in 1961 for political reasons and its affairs were taken over the Ghana Commercial Bank. It was later revived in 1973 but only began operations in 1975. Subsequent reforms will see the Bank of Ghana, the Social Security and National Insurance Trust and State Insurance Company come in as shareholders. 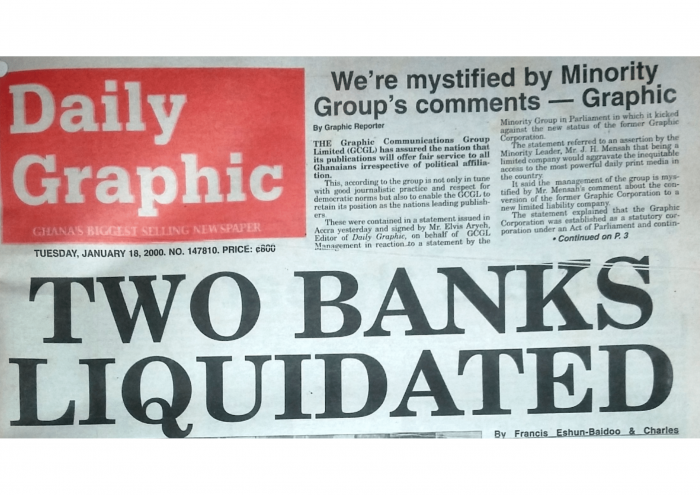 The fate of these two banks was made public on 17 January 2000. That was the front page story in that day’s edition of the Daily Graphic. The country woke up to news of the liquidation of the BHC and the GCOB. PricewaterhouseCoopers and the Registrar-General’s Department were put in charge of liquidating and settling all the debts and liabilities of the liquidated banks. Images of anxious customers waiting in front of the two banks were all over the media. Armed security personnel were there as well – just in case anything goes wrong. 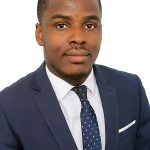 According to the Bank of Ghana and the Government, the decision to liquidate these banks followed persistent losses and the inability of the banks to satisfy the minimum capital requirement under the then banking laws. It was reported that the loan portfolios of the two banks had deteriorated significantly. There was therefore nothing that could be done to salvage the situation. Not even proposals from the workers of the BHC to buy the bank back was convincing enough. The Ministry of Finance was clear in its mind. The only means by which the banks were not going to be liquidated was if the shareholders agreed to inject some more cash into the banks. But the government was not willing to do this. As part of the Divestiture Implementation Programme, the government had begun washing its hands off existing state own enterprises. It was therefore not an option for the then government to invest some more money into the banks. Remember government was a shareholder in these two banks. Therefore, the bank had to wound up in line with the Bodies Corporate (Official Liquidation) Act, 1963 (Act 180). Investigations showed that the two banks have been in troubled waters since 1997 due to several factors including what became known as the “A-life scandal”. The A-life scandal involved the discovery of fraudulent withdrawals and advances of huge sums of money to A-life, a supermarket chain. In December 1996, it emerged that A-Life had accrued debts totalling between 135 to 200 billion cedis to three public banks: The Ghana Commercial Bank, the BHC, and the GCOB. Investigators concluded that the loss was due to collusion between management and staff of the three banks and officers of A-Life. The action by these three banks were in breach of the then banking regulations. For example, the banks could not give loans beyond certain limits – which they breached. And also, the banks were lending without collaterals. A source at the Bank of Ghana told the Daily Graphic that the Bank of Ghana had to clear its records of a 43-billion-cedi deficit on behalf of the two banks in order to keep them afloat since 1998 even though with all this, the banks continued to sink deeper and deeper into crisis. The situation was dire in the case of the GCOB. There were reports that the GCOB had begun to utilise depositor cash to cover its administrative expenses and even pay salaries of its workers. The Central Bank believed that if the liquidation had not taken place, the banks would have collapsed anyway.